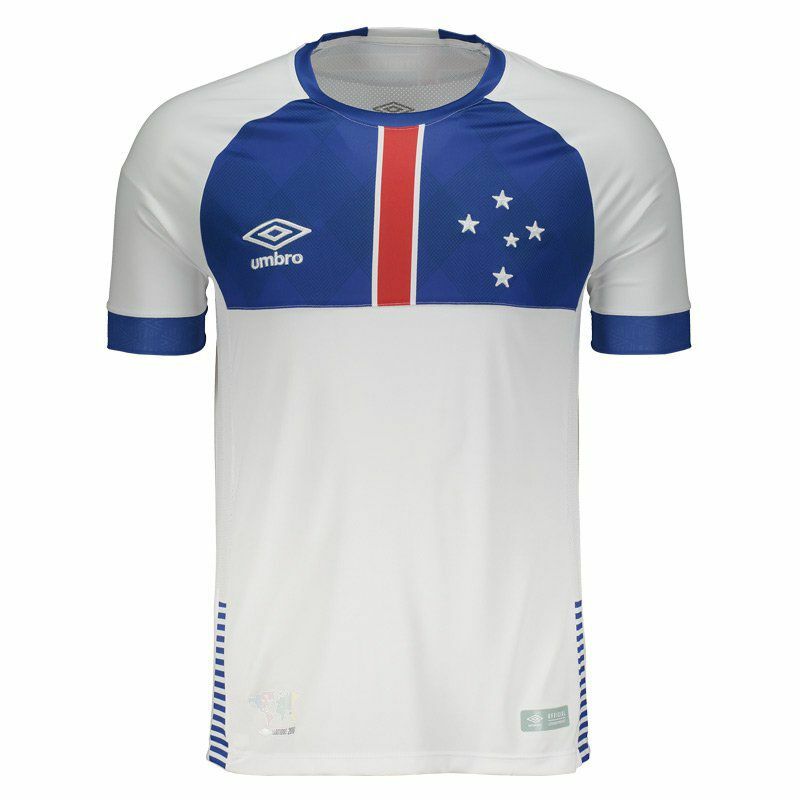 Named of Blar Vikkingur, Cruzeiro Away 2018 Jersey features a visual inspired by the Icelandic National Team. 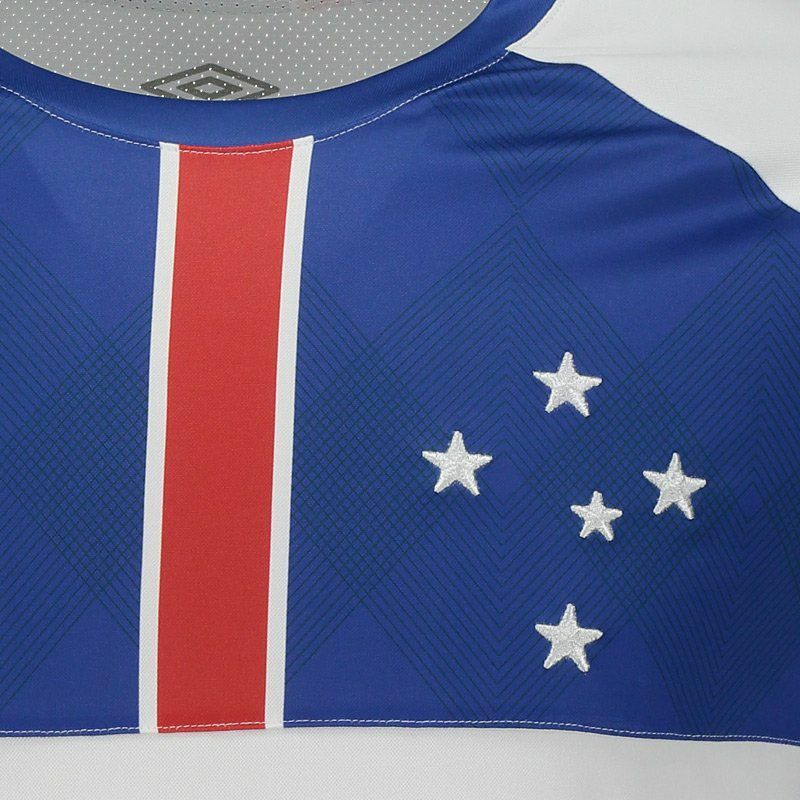 The mantle brings name and number (30) of the player Thiago Neves customized on the back. Produced by Umbro, the piece is made of polyester. More info. Named of Blar Vikkingur, Cruzeiro Away 2018 Jersey features a visual inspired by the Icelandic National Team. The mantle brings name and number (30) of the player Thiago Neves customized on the back. Produced by Umbro, the piece is made of lightweight polyester and features breathable mesh fabrics, ideal for ensuring the necessary comfort. 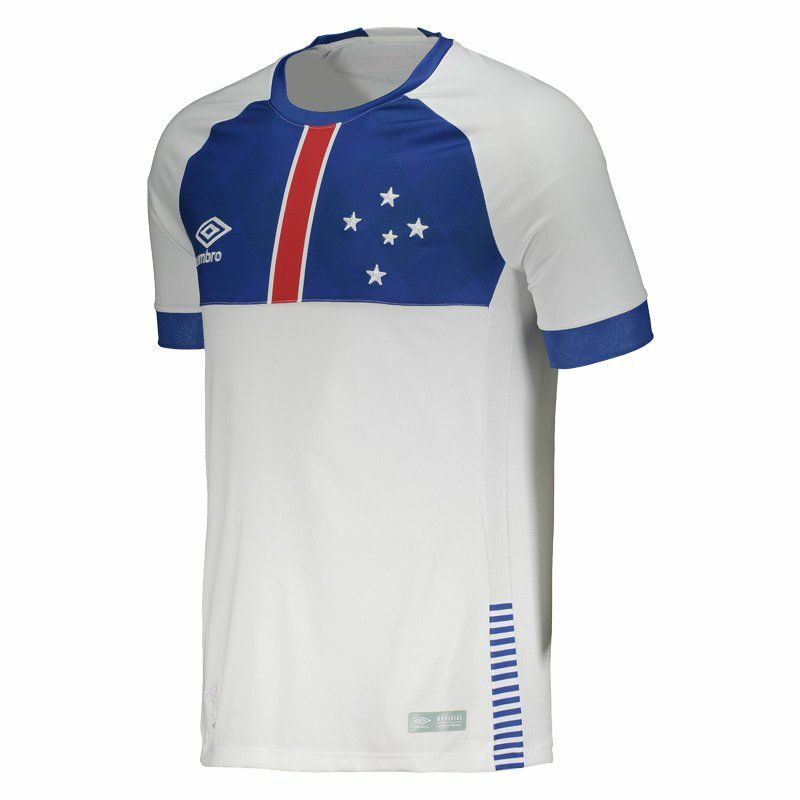 Its predominantly white design brings the history that unites two colonies, being the one of the people that crossed the Atlantic and landed in Brazil, in Minas Gerais, thus founding Cruzeiro and, of Iceland, place of Vikings, fighters and explorers that arrived at the land of the where they made their home. It also has blue with graphics on the chest and parts in red and white, representing the flag of the country honored. In addition, the club logo and badge are seen embroidered on the front. In the cuff of sleeves, the name of the team appears in watermark. Finally, next to the bar, a stamp in reference to Nations 2018 can be seen in prominence. Thiago Neves is a Brazilian soccer player who plays as a midefielder. He has several characteristics, such as mid-distance kick, pass and long pass, excellent technique and a powerful kick. In addition, the left-handed player has talent for foul charging.